From Art Works Kingdom Hearts. This was also used as the December image in the 2008 calendar. If you look closely at the tower, you can actually see Hayner, Olette, & Pence sitting on it. It makes me smile just by looking at it. Thanks for scanning it! aww roxas XD thanks a lot amigo! Yay! I have been searching for this scan! thanks! 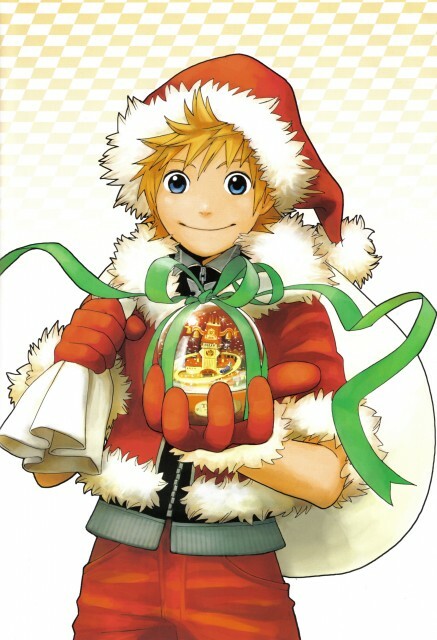 Roxas <3 Thank you for the scan!